ProCon Exteriors is proud to offer CertainTeed roofing products to our customers. 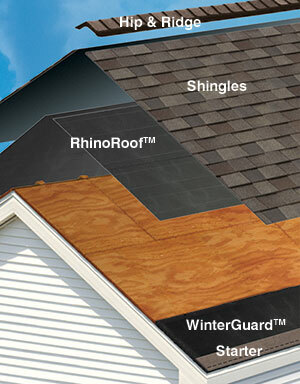 In fact, CertainTeed is the largest shingle manufacturer and they're located right here in Ohio. It’s not just a roof. It’s a complete roofing system. And the CertainTeed Integrity Roofing System combines high-performance underlayments, high-quality shingles, accessory (hip & ridge) shingles, and proper ventilation! The result? An optimally performing roof system that will last longer, even in the worst of weather conditions.